Redefine, Inc. specializes in coordinating and executing all of your events, whether you're hosting a small luncheon, large corporate holiday party or wedding. We plan, coordinate and hire fabulous vendors to create memories that you and your guests will never forget. Rates vary depending on location, head count and design complexity. In some cases, travel fees may apply outside of Southern California. Please contact our office for a personalized quote. This service begins with a complimentary consultation six to eight weeks prior to your event. It includes unlimited email communication, an event timeline, summary of all contact information, full event day coordination and strike services, confirmation of all vendors and a final walk through of the venue. This service includes unlimited email communication, an event timeline, full event day coordination and strike services, a general to-do list, detailed checklists, expert vendor referrals and a final walk through of the venue. We will also negotiate terms and rates of final agreements with hired staff and vendors, as well as help the client search for the perfect venue. If deemed appropriate, we will create a floor plan and handle all seating arrangements, as well as accompany the client to four meetings with florists, ceremony musicians, photographers, videographers, bakers, etc. Our weddings truly reflect the bride and groom's individual lifestyles and personalities. Our goal is to work closely with couples to devise memorable moments that perfectly capture their wildest dreams. We use a combination of lighting, textured fabrics, music and creative décor to design an event that friends and family will remember for years to come. We've organized everything from elaborate bridal showers for 50 plus guests to intimate baby showers at home. Whether you're pregnant with your first baby or preparing to trade “I do's” with your future husband, we will be there every step of the way to help you create the perfect day. This is one area where we really shine. Redefine, Inc. specializes in developing and designing corporate events. We are experts at coordinating small luncheons, dinner meetings and large marketing fetes. We work with all types of budgets to find fabulous entertainment, build better relationships and create an experience that you and your colleagues will remember for years to come. You're throwing a birthday party, celebrating an anniversary or toasting an engagement. Whatever the occasion, we've got you covered! Our hands-on approach is all about attention to detail, regardless of how big or how small. We will take care of everything from start to finish: invitations, cocktails, music, flowers, catering and layout, while you and your guests reap the rewards of our hard work. 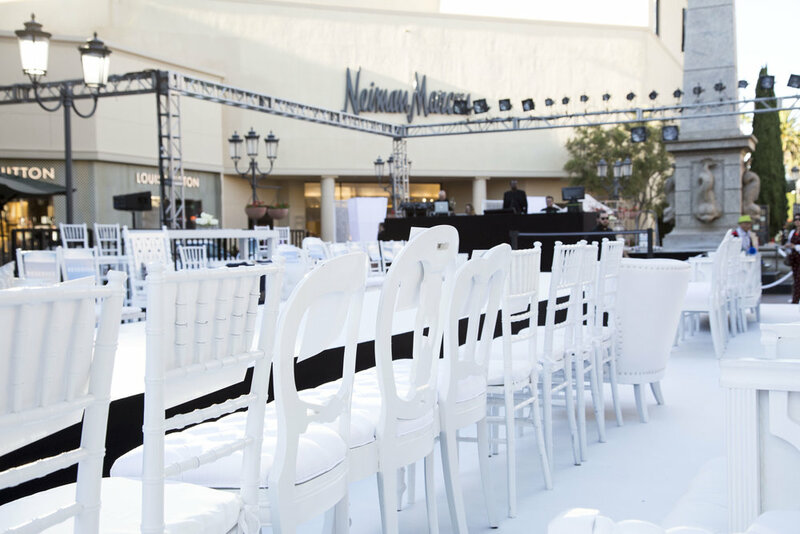 Redefine has produced catwalks for countless satisfied clients including Neiman Marcus, Bloomingdales and Style Week OC. We've also coordinated personal appearances for big-name designers like Stella McCartney and Zac Posen. Our talented team takes care of every detail from start to finish, from hiring models to creating the desired atmosphere with lighting and sound to delivering a professional recording of your show. To inquire for more information, please visit our Contact page.